I don’t see how claiming Hamels shows a willingness to spend. There was a 0% chance Phillies were going to just let him go, and the Cubs weren’t going to trade their top prospects for him. The Cubs claimed him knowing that it would look like they want to spend money on a pitcher, yet they wouldn’t have to spend a cent. That’s a tad too Machiavellian. They wouldn’t claim him for “appearances.” They are very likely to make a hard charge for Lester and/or Scherzer this offseason (the latter being my bet). They would’ve probably taken the whole salary for Hamels and traded anyone not named Bryant, Soler or Russell. You could be right, and I do think they will make big offers to pitchers. However, I find claiming Hamels is no indication of that. I don’t see the connection like the writer does. I think you are partially correct. The Cubs front office likely did make the claim strictly as a PR move to appease fans. However, there was no harm in the move because no other team was going to give the Phils what they were asking for Hamels any way. If the other teams were willing to pay that kings ransom, they would have done so before the deadline passed. Philadelphia is just asking for more than other teams are willing to give (justifiably I might add). I personally think it was a message to what ever pitchers the Cubs go after in the offseason. Telling them we are going after pitching every way we can. The bats are almost ready and cupboard is far from bare. The Cubs could very well go back to the Phillies in the offseason as an option B or C when they can move a short stop a little easier. I agree for the most part. With Becketts injury, dodgers may have given up some top guys, but I still think a deal was highly unlikely. What possible benefit was there for the Cubs to do that? Amaro has shown he overvalues his players so to me it seems like the Cubs wanted Hamels but Amaro isnt really interested in making any trades. one of the biggest payrolls and last place. If you are a Phillies fan you have to be hoping they fire Amaro soon. Hamels is the guy you don’t budge much on though. He’s worth 1 great, 1 really good, 1 good and 1 lottery prospect given his performance, age and the length of his market value contract. 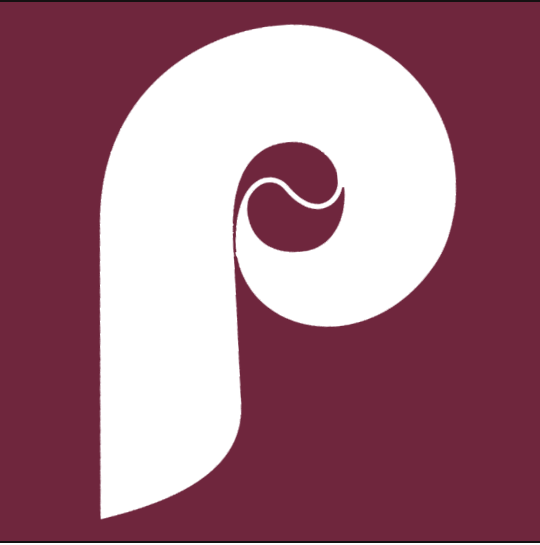 Though many Cubs fans seem to think that because their system is so deep the Phillies should just accept their 7th, 12th, 15th and 20th ranked prospects and be happy about it. To be fair, at least the top three of those four would instantly drop into Philly’s top 10 prospects, with CJ being being top three. That’d be one heck of a step up, considering RAJ’s usual track record for making trades. I was just throwing out random numbers, not looking at any particular Cubs Top 20 prospect list. Whats funny is the Cubs 7th,12th and 15th best prospects might be 1,2,3 in the Phillies system. Phillies have zero depth in their system, but their top 4-5 actually are pretty good. CJ is not the kind of centerpiece that warrants trading Hamels, tho. David Price is younger and making less money and the Rays got less for him why should Hamels be worth more. Hamels doesn’t own more value then Samardzija and Hammel combined and yet the haul you think he is worth would be more then the Cubs got for both. Because Hamels is under contract/control longer and Price will be cheaper for 1 more season. And even that season, will only be a couple mil cheaper. Anderson is averaging a whopping 51 innings pitched per year over the last four years. Declining that option is a no-brainer. I tend to agree, but it is complicated by what they invested in him and what they’ve said. I think there’s a decent chance they’ll pick it up (but don’t think that’s a good idea). If most people don’t think it is a good idea, then it is virtually a guarantee that the Rockies will pick up that option. Hard to move older players who have high salaries, injuries, NTC or/and have a list of teams that they are willing to be traded to. You forgot a 35 year old Jimmy Rollins making $11 million per year. That Rollins contract ends this year with an option in 2015……but again, Rollins is on the down side of his career. This is where Chad Billingsley would be real helpful. i wonder if dodgers will give him a chance next season but on a new deal. I hope so, pitching depth is crucial when so many of these guys go down with injuries every year. The tough decision regarding Anderson is that the Rockies feel bad for trading for him. 12 million is way too much for a small market club considering his track record. If he had performed/stayed healthy, his salary wouldn’t be much of an issue. They just can’t allocate a serious chunk of their salary to a player who rarely takes the field. It wasn’t and still isn’t a crazy gamble, but enough’s enough. The problem with your analysis is that the Rockies are not a small market club. The owners are just spending like it is a small market club, kind of like the Astros. The Rockies are in the top 10 in attendance almost every year. It’s not really a problem. The Rockies aren’t going to jump into the top ten for payroll and where they are now is comparable to the other small market clubs. Denver is not a particularly large city. Sorry problem was a poor word choice. Denver is a comparatively small city, but the Rockies market is huge because they are the only game in town for Wyoming, Montana, Idaho, Utah, New Mexico, and the western plains states. They have the potential for a much larger payroll with a change in ownership and a better TV deal in place. Both are among the worst in baseball. I buy the logic that payroll could be higher, but much larger is a stretch. They have a competitive payroll as it is. An extra ten million takes them up to many contenders, but that wouldn’t really be a difference maker. The problem is that they’re not a particularly well run organization so flops like Anderson hurt more than they need to. Condolences to Phillies fans on your GM. 30 year old left handed pitcher with TOR stuff signed to a 4 year deal with a vesting 5th year at $23.5 million per year has value. Just not as much value as Phillies fans and RAJ think he has. Hamels contract brings his value down, plus next season he starts on the wrong side of 30, and the mileage already on his arm is high. Also the Cubs would probably rather pay Hamels the money and give the Phillies a lesser prospect then give up more and let the Phillies eat some of the contract. Hamels is a battle tested ace who’s put up 4+ WAR seasons over the past 3 years. His contract most certainly does not bring him down. He earns his money. I’m not saying that he didn’t earn his money in free agency or that he doesn’t deserve top dollar. I’m saying in a trade the amount of money he is making hurts his value because you aren’t making much on your investment. Paying $18 million per year on +4 WAR gets you a higher return on your investment then $23.5 million. Also I’m not at all saying he isn’t a very good pitcher he just simply isn’t worth more then the Cubs received for both Hammel and Samardzija and that seems to be the asking price for him. Where are you getting 18 million from? Just a number I threw out there. I disagree as well with the notion that he’s not worth more than what Shark and Hammel brought in. Shark isn’t a playoff proven ace (some might argue he’s not a proven ace at all) and Hammel was a thrown in who’s regressed to career norms as many expected. Hamels is locked in for four more years at a price that is fair given his contributions. That has tremendous value. I would have seen a fair package for Hamels as Russell, Vogelbach, and a low level high upside arm. Which would have given you a SS who is a top 10 prospect in all of baseball, a slugging first baseman who is in the Cubs top 10 prospects and a unknown arm to develop. That would be a more then fair offer. Well at least you’re starting your offer with Russell which is more than some Cubs fans on these boards think Hamels is worth. The only real issue with that though is if I’m the Phillies I’m not looking even looking for 1 top tier prospect I would rather have depth in a trade because the farm is so bare. If the Cubs offer Vogelbach, Candelario, Black, and some low level arms I would jump on that if I’m the phillies. Because 1 prospect and filler isn’t gonna build a team. They need depth in the organization. I agree that quality is more important then quantity. Which is why the names I suggested aren’t slouches either. In a deep farm system the names I said are highly thought of. Plus those high upside young arms can make or break a trade and the Cubs would be assuming more risk in this throw ins. I also might include one of those change of scenery guys like Brett Jackson or Josh Vitters. If any team wants Russell, who is not on the trade table anyway, would have to do better then offering a guy with a big contract with his best years behind him. Addison Russell is ranked #6 in MLB Prospects…..Billy Beane made a mistake letting him go……………Theo Epstein & Jed Hoyer will not make that same mistake. Hamels will be a Dodger by the end of this season with a ring World Series.